For Florida residents, it can be a dire mistake to let fears of high flood insurance cost prevent you from protecting you and your family’s largest investment, and for flood insurance Florida residents and business owners rely on, more and more people turn to the experienced and knowledgeable insurance agents at Five Brothers Insurance. Five Brothers Insurance is family owned and operated, and we have been serving the insurance needs of central Floridians for decades. Because we have remained a private insurance agency and independent from a partnership with any major insurance carrier, we are able to truly shop around and can offer our clients the very best policies at the most affordable rates. Floods are not covered by your standard homeowners and commercial insurance policies. 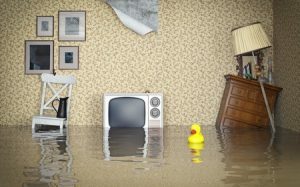 In nearly all cases, flood insurance must be purchased with a separate policy to protect against floods due to hurricanes, excessive rain, flash flooding and more. To determine your exact cost, it is best to consult with an experienced agent who will work closely with you to determine your exact coverage requirements and take the time to find you a policy that meets your budgetary restrictions. If you own a home or commercial property in Indian Shores, Indian Rocks Beach, Holiday, Largo, New Port Richey or the surrounding cities, don’t wait until a storm comes. Contact Five Brothers Insurance today to speak to a professional and courteous insurance agent who is dedicated to protecting you and your family from the financial burden that can come with extensive flood damage. After a thorough discussion of your unique coverage needs and a review of your current policy holdings, we can provide you with your exact flood insurance cost and help you choose flood insurance Florida home and business owners can trust and rely on.